Valorado por los clientes después de alojarse en el Laguna Serviced Apartments. Beautiful set up , great size TV’s , good WiFi and overall great size for a few days stay. I had to work so the desk set up with an additional power board was a great touch. There was a parking space with no charge , the vacuum cleaner works really well and I like the fact they provided cleaning and bathroom materials.it was a good stay and I do hope to book it again when I come back for another getaway . Central location that is close to many options for restaurants and cafes. 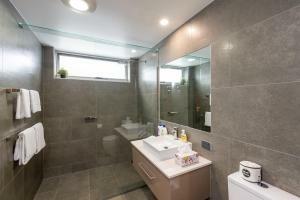 The room was very large, cleaned well and has a fresh modern design. Perfect facilities and location for us...we will be back!! Very friendly staff and very helpful in relation to an up coming stay there in August. Café attached to apartments clean with a very friendly atmosphere. Consigue un precio espectacular para el Laguna Serviced Apartments. Las personas que se alojaron hace poco le han dado una puntuación de 9,2. 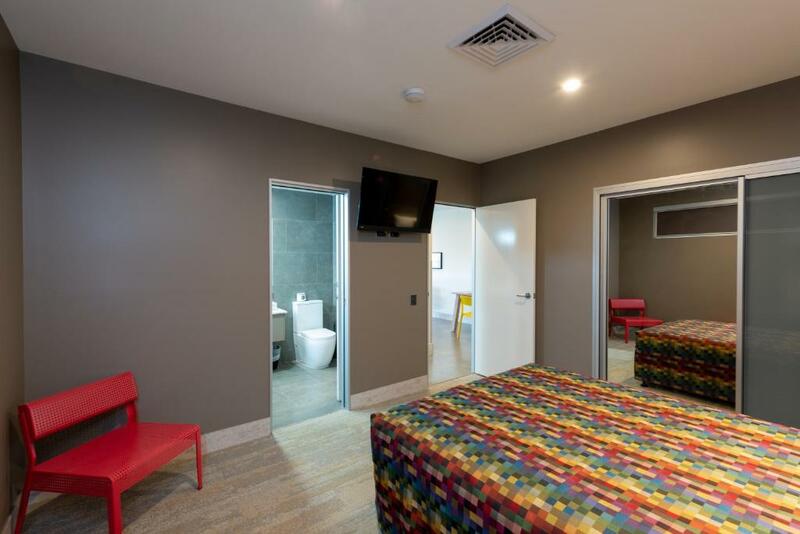 Está en nuestra selección para Toowoomba.Just a 2-minute walk from Toowoomba city centre, the 4-star Laguna Serviced Apartments offer free WiFi, free parking and a private balcony with city and mountain views. The property features an on-site café. 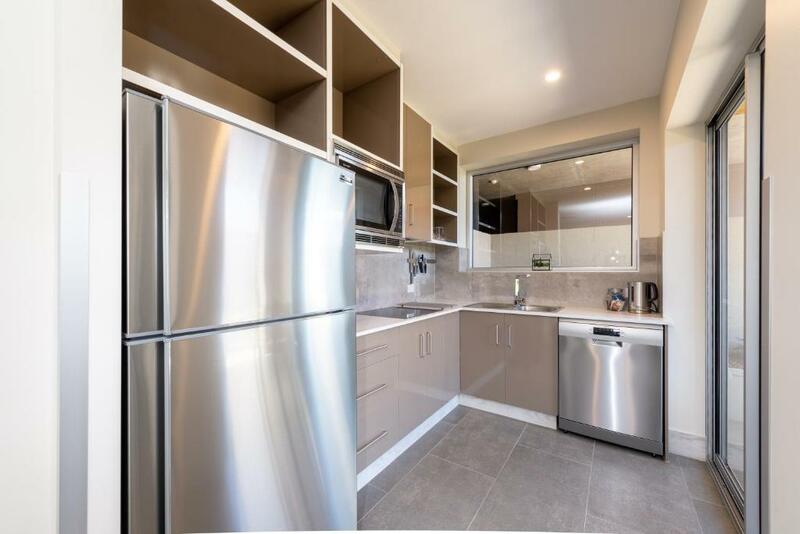 The air-conditioned apartments feature a fully equipped kitchen with a dishwasher, an oven and a microwave. Each apartment has individual laundry facilities and 2 flat-screen TVs with over 80 cable channels and a DVD player. 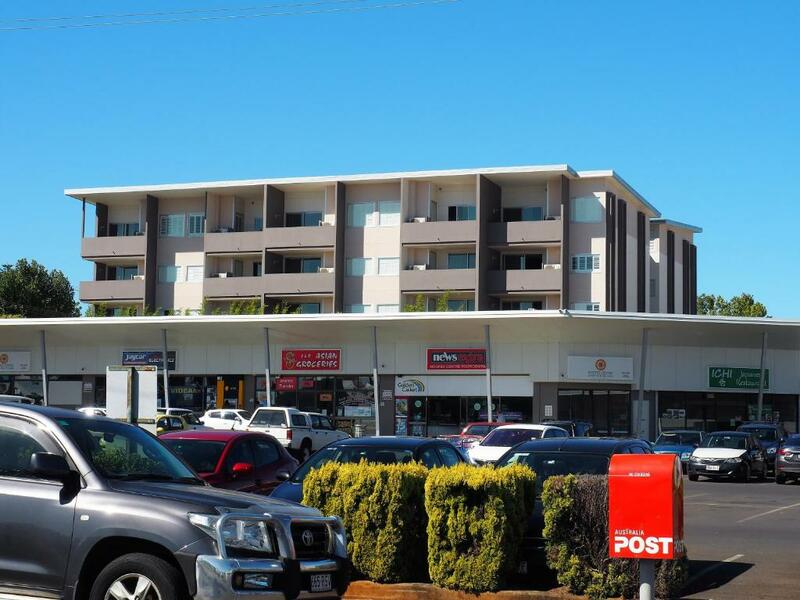 Laguna Serviced Apartments Toowoomba is a 5-minute walk from Queens Park and a 3-minute walk from the Empire Theatre. It is a 20-minutre walk from Grand Central Shopping Centre. The popular Cobb & Co Museum is a 3-minute drive away. Coffee House Cafe serves breakfast and lunch daily. The menu features coffee and gourmet food. Laguna Serviced Apartments recibe clientes de Booking.com desde el 7 de jul de 2014. ¿Cuándo quieres alojarte en el Laguna Serviced Apartments? This apartment has a electric kettle, kitchenware, seating area and balcony. 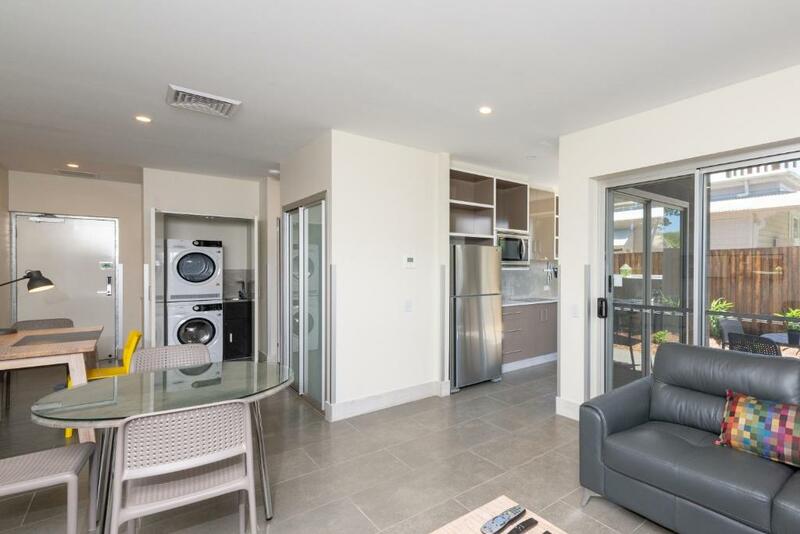 This apartment has an electric kettle, kitchenware, seating area and balcony. Please note the One-Bedroom Apartments are located at 7 Aubigny street, Toowoomba, which is 300 meters from the Two-Bedroom Apartments. All our apartments are two-bed Room. We offer for both short and long term accommodation in the heart of Toowoomba’s CBD. Our quality 4 star serviced apartments are modern, spacious and comfortable. Our guests enjoy all of the benefits of our extensive facilities, making for a comfortable and enjoyable stay. Wireless NBNinternet access is available in all apartments, Onsite secure basement parking for all guests, Onsite café open 7am – 3pm Mon - Fri. 7am - 12pm Sat Secure swipe card access for your security and peace of mind. Business services are available at reception, Lift access to all levels. For more information, please contact us. To make it even more enjoyable for our guests, we have an onsite cafe that serves great fresh MERLO coffee and delicious food. There are also over 10 restaurants within a two minutes walk and an IGA supermarket open everyday from 6am - 10pm right next door. Léeme Laguna Serviced Apartments acepta peticiones especiales. ¡Añádelas en el siguiente paso! 1 niño o adulto se puede alojar por 50 AUD por persona y noche en una cama supletoria. Bankcard El Laguna Serviced Apartments acepta estas tarjetas y se reserva el derecho de cargar de forma temporal una cantidad antes de la entrada. El Laguna Serviced Apartments acepta estas tarjetas y se reserva el derecho de cargar de forma temporal una cantidad antes de la entrada. Please note that this property requires a $150.00 credit card pre-authorisation upon check in to cover any incidental charges or damage to the property. If you expect to arrive after 16:00, please inform Laguna Serviced Apartments in advance or on arrival, using the contact details found on the booking confirmation. The 24-hour on-site manager will check you in. Please note that there is only 1 free parking space per apartment. Informa a Laguna Serviced Apartments con antelación de tu hora prevista de llegada. Para ello, puedes utilizar el apartado de peticiones especiales al hacer la reserva o ponerte en contacto directamente con el alojamiento. Los datos de contacto aparecen en la confirmación de la reserva.